WINSLOW ‘WINN’ SCHOTT JR.: a tech genius as well as a superstar IT whiz that works alongside Kara at CatCo. He carries a torch for Kara, which makes the day to day grind a little more difficult for him. Winn assisted Kara in creating a costume, going through several potential options before coming to the final costume. Assisting her in her heroics, Winn acts as the tech center of Supergirl's crime fighting career. He has even gone as far as setting up a secret office within the CatCo. building where James, Winn and Kara can work on their heroics! Winn is played by Jeremy Jordan. 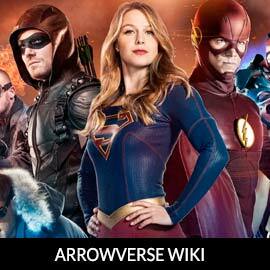 For more info on Winn Schott Jr., check out our partners at ArrowverseWiki.